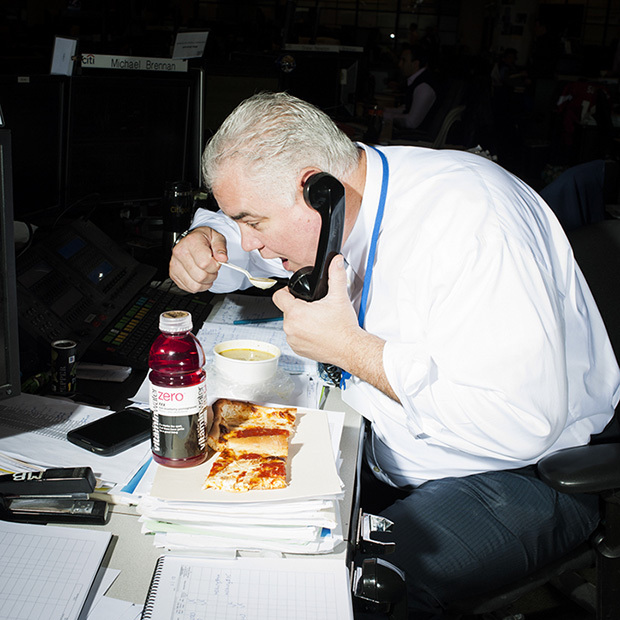 Finke’s portraits, while they certainly do reflect what Lee called a “sad” reality, sparkle with wit and charm. 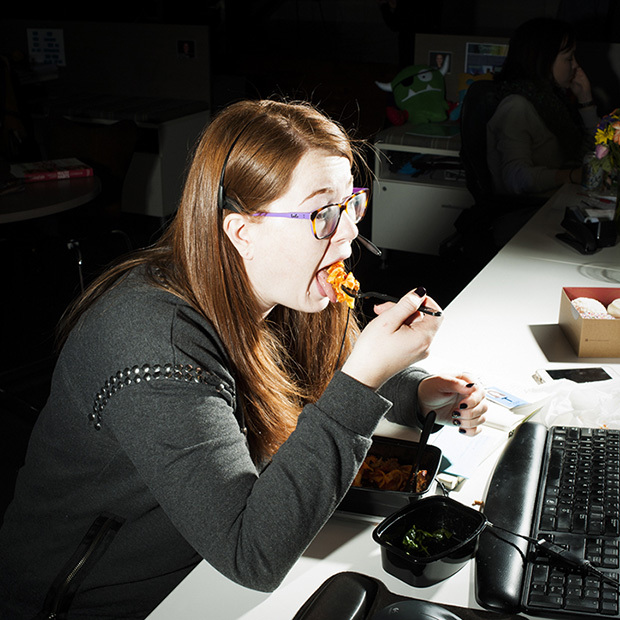 They’re relatable because, as Wollan reports, more than half of us (62 percent) have lunch at our desks. 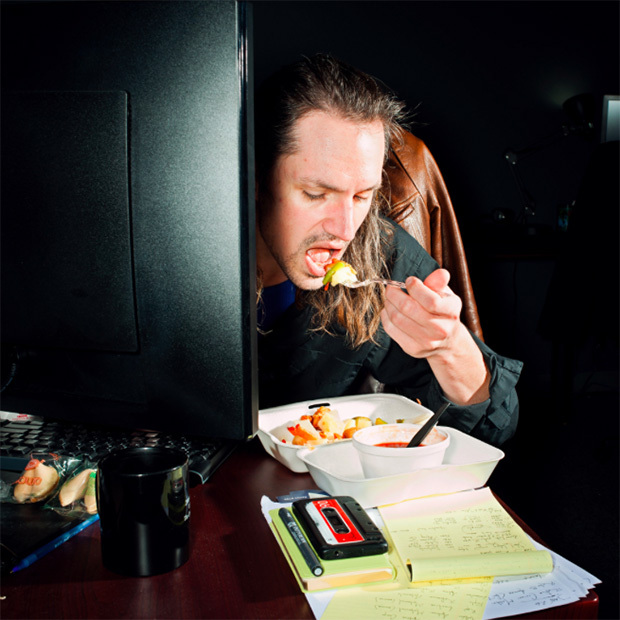 About 50% of us have our midday meal without the company of others. 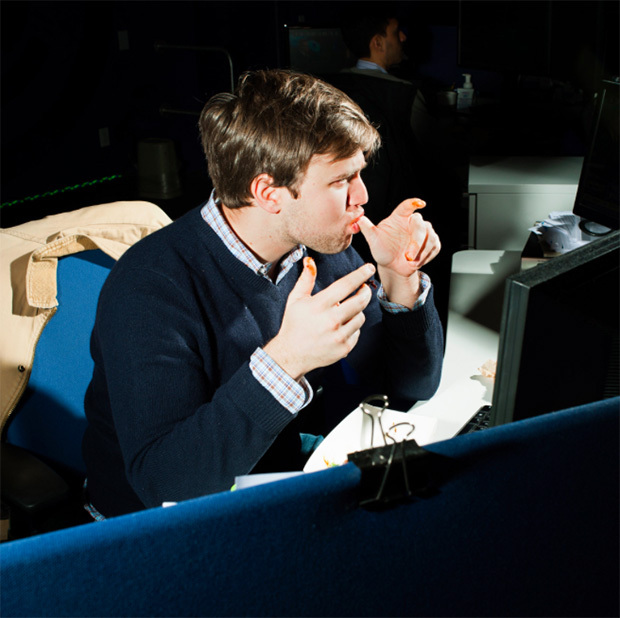 According to Wollan’s research, “desktop dining” (the official term used by social scientists) doesn’t bode well for the future of offices throughout the United States. 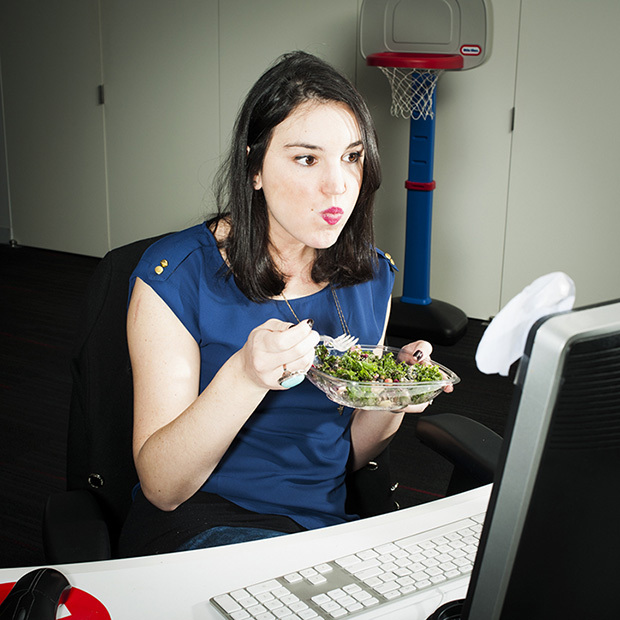 While it might seem more efficient to forgo the sit-down meal in favor of a multitasking lunch, it turns out people aren’t necessarily working when they snack at their desks; it’s common to surf the internet between bites. 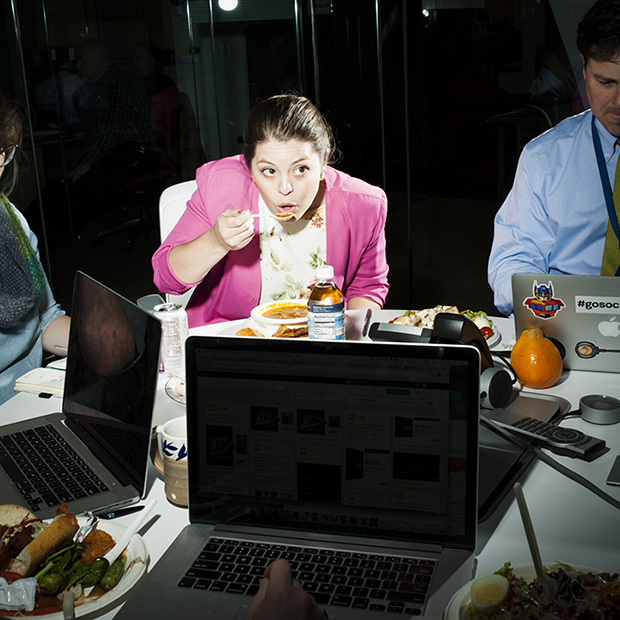 In terms of office morale, the desktop lunches can even be destructive. 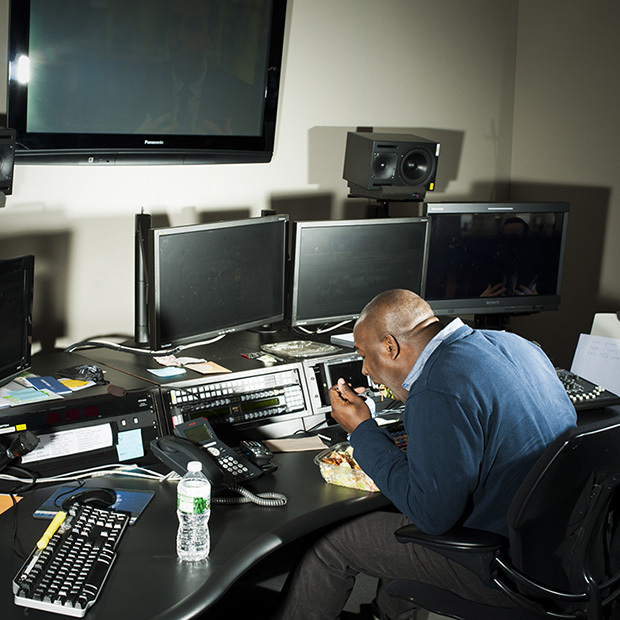 As Cornell University’s Brian Wansink explained to Wollan, eating as a group can bond and unite people, making them more upbeat and productive. 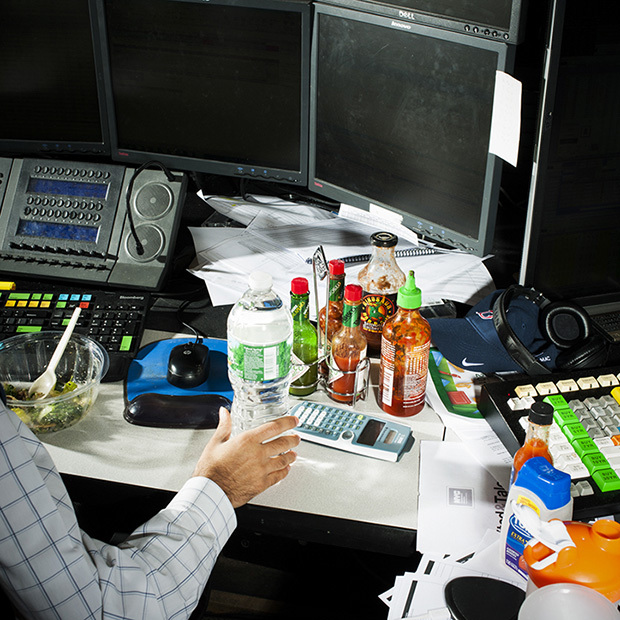 Whether or not you buy Lee’s less-than-optimistic conclusion, Finke’s images are a testament to both the loneliness and unintentional humor of the American workplace, where computers and keyboards take precedence over good food and face-to-face interaction. Brian Finke’s work is currently on view at Pocko Gallery in London. You can purchase his recent book here. Dominick Sherry, Visual effects artist, Practical Magic, Sun Valley, California. Sweet-and-sour chicken and fortune cookies.